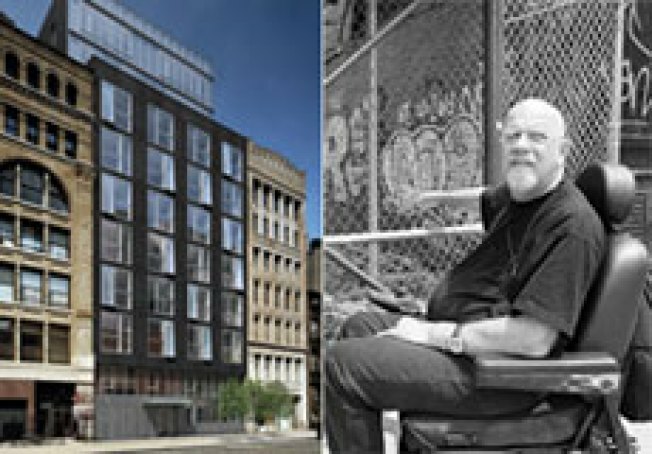 One of the more outspoken critics of all the luxury development on Bond Street has been artist Chuck Close, so worried about losing the natural light in his 2,500-square-foot co-op/studio at 20 Bond that the quadriplegic once told The Real Deal that all the new buildings "would virtually make my studio unusable," and indicated to the Villager that he'll probably be forced leave the city. Well, it turns out that Close will have to pack up his things, but he won't have to haul them very far. The Real Deal reports that the artist paid $5.95 million for an apartment at 48 Bond Street, the Deborah Berke-designed boutique building with the wonky windows and somewhat public private pool. Expensive? Sure, but a small price to pay for all that sunshine.